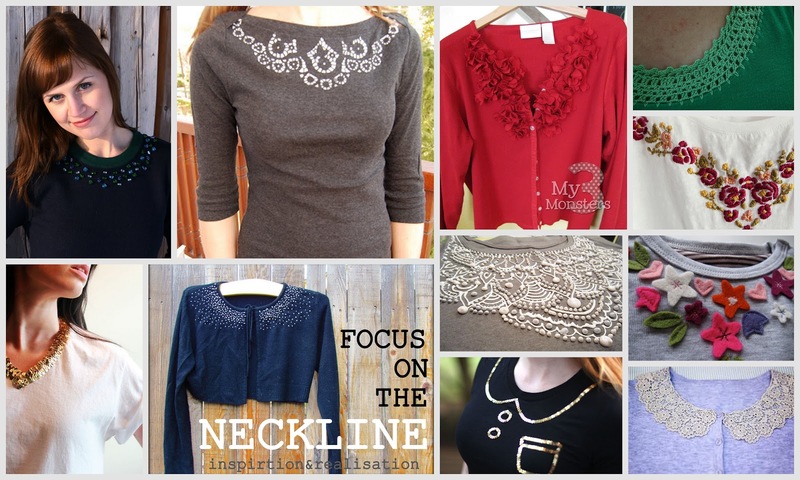 is by highlighting the focus around the neckline. follow one of the many inspiration! 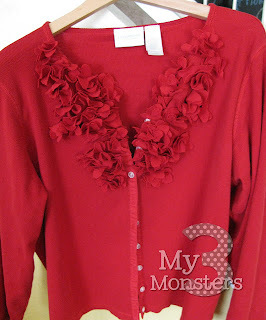 I like the idea of fabric flowers (as seen here and here) and really like the color and the cascade effect of this cardigan refashion from my 3monsters. 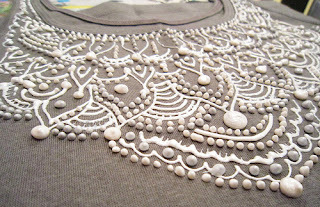 This puffy paint refashion from Alisa Burke is one of my all time favorite: the puffy paint gives the dimensional look of beads, without the pain of stitching. 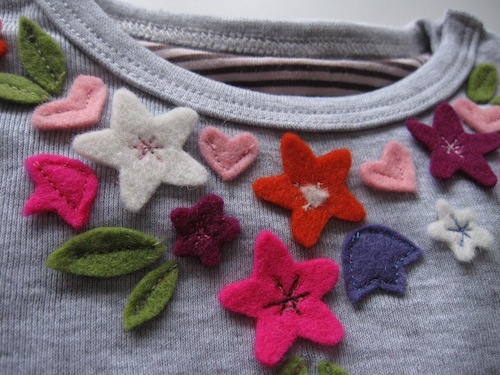 A pattern to download and step by step instructions at A beautiful mess to make a simple t-shirt (but could be a sweater, too) into something darling. 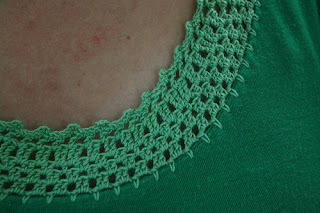 Follow the tutorial on zween on how to pick up the stitches on a knit and add a tone sur tone (or can be done in a contrast color) crocheted trim. I love this, so simple, so pretty. 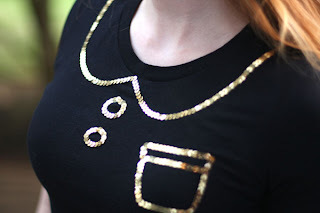 I really like this take from Carly on Chic-Steals on the peter pan collar trend: a sequins trim to create a trompe l'oil effect. From a basic tee to something fun and chic! 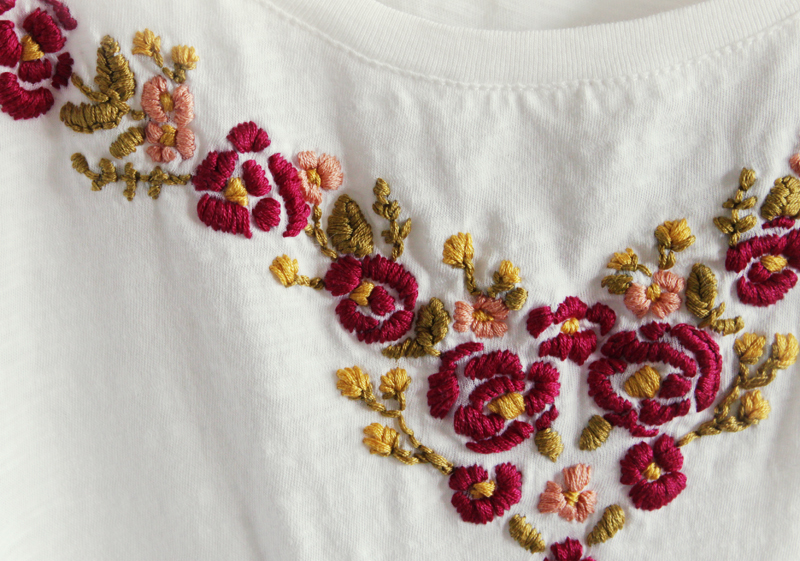 Use a paper doily (or more than one) as stencil: cut it out to make the right shape around the neckline, and use fabric paint for a lovely lace effect! Two versions at crafter hours blog. I like white, but metallic effects and glittery would work wonders too! This Anthropologie knockoff at my two butterflies is on my to-do-list! Love these tiny knots that looks like beads (link on the site for a step-by-step how-to on this stitch). And you go by eye, no pattern to follow. A PDF template to download over at mi susu: these tiny flowers and hearts to sew on with few stitches around the neckline on a sweatshirt, or a plain sweater are lovely! Love the mix of colors, and would look great as well done using the same tone (something like this one I made, still one of my favorite). Sewing on beads takes a little time, but you can't beat the sparkle and the dimension of real beads. 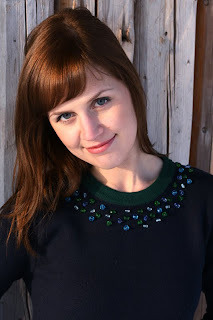 I really like the look of this sweater on pearls and scissors playing with the shades of the sweater and the contrast color collar in different hues of beads. Plain sweater, lace collar. And if the lace is vintage, it's even better! 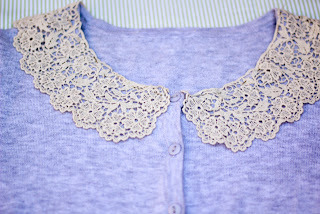 How lovely is this peter pan lace collar at my calico skies? 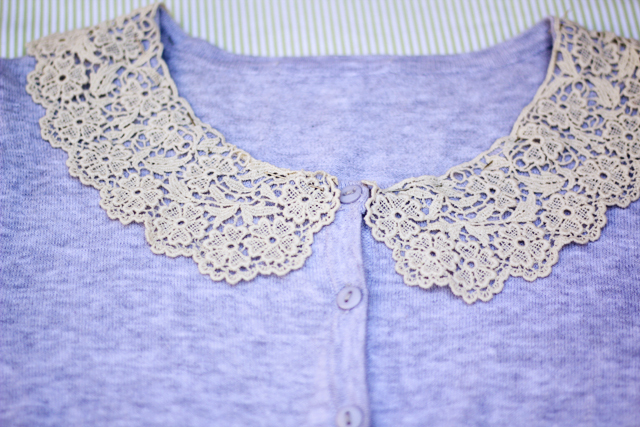 Hit your local flea markets, there is always a booth that sells these lovely lace collars. 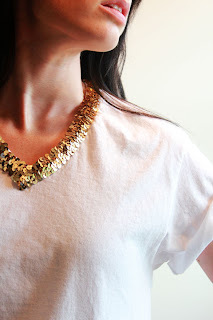 From plain to sparkle, sequins are always the right answer! 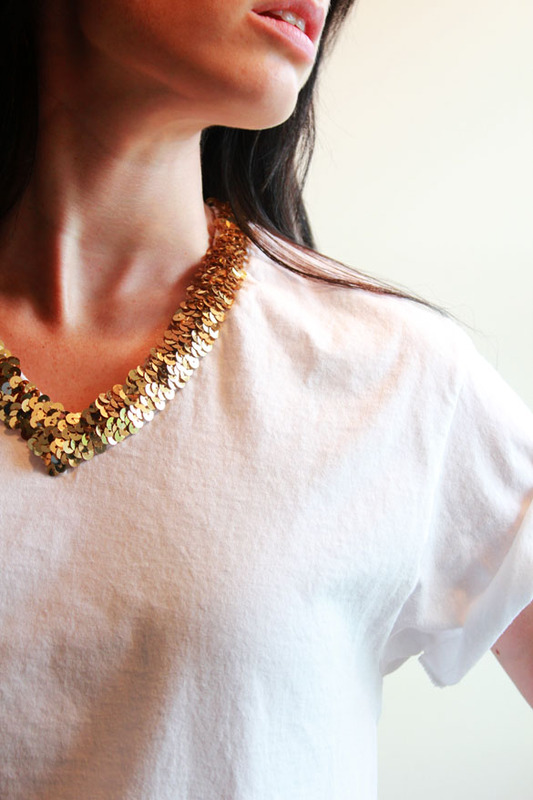 Follow around the neckline with a thicker sequin trim just like this one at the forge style, and you have an instant wow neckline!